On Monday, Feb. 4 at 6:30 p.m., the Natchitoches Police Department responded to the Natchitoches Thomas Apartments in reference to shots being fired in the area. The police department, along with the complex’s security, responded to the “R” Building. 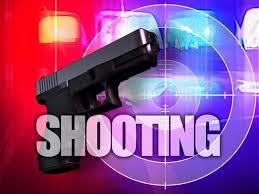 Responding officers located Deboris Collins, 20, who had sustained a gunshot wound to the leg. Collins was transported to the NRMC for treatment. As a result of the shooting, the Criminal Investigations Division (CID) of the Natchitoches Police Department was contacted and began an investigation into the events leading up to the event. On Tuesday, Feb. 5 at approximately 6:28 p.m., NPD responded to shots being fired in the area of Lake and Sanford Streets. Upon arrival, officers completed a search of the immediate and surrounding areas but were unable to locate the source of the shots. Information was then obtained that led officers to the emergency room of Natchitoches Regional Medical Center where they spoke with a male subject who had been shot. The victim, Chrishawn Carter, 22, had sustained a gunshot wound to his arm. CID was contacted and began an investigation. If anyone has information in reference to either of the shootings contact the Natchitoches Police Department at (318) 352-8101 or Detective Jeff Townson at (318) 357-3852. All calls shall be kept confidential. Anonymous Tips By Smartphone: You may also provide tips that will be anonymous via our Tipsoft Product. Send the tip by using your smartphones (download free application) or by texting (Text-A-Tip) to CRIMES (274637). Use NPDTIPS before typing your message. You can also submit a Web Tip from the Police Protection page.